The ultimate in security systems has arrived! 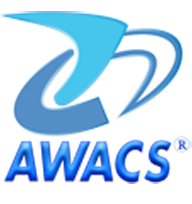 10 years after the original AWACS AC 64, the new AWACS Platinum is now available. At LM-technology (a small to medium-sized European engineering firm) we took on the challenge to create another superb piece of engineering. In co-operation with the best and brightest engineers from across the world we have built a control unit that surpasses all current limitations and is able to satisfy the highest required levels of security with the technology of the next decade. - large sensor technology at 128 bit dynamic transmission code, each sensor continuously changing its own transmission code . - remote-control with absolutely unique and secure non-clonable code, with 5 different freely programmable functions will make many options possible. It can manage up to 128 detectors, wireless or wired, through a special RS-485 Bus system and 4 wired double resistance lines which guarantees total and complete protection for all security requirements. This device (like the AC 64) also has an autonomous power supply, is automatically controlled, and can support a wide range of logical or NC free programmable alarm outputs. The unit can manage 4 subgroups, each one of which can be switched on or off independently. Each detector can be switched on or off independent of the status of other detectors or of the control-unit. each alarm is controlled by the unit with different out signalisations. All sensors are 24 hour self-protected. A 256 events memory can show any alarm event or time of switch on/off , and which code or remote control was used so that the user can be identified. The unit has a low-battery warning, which will activate 100 days in advance. time of more than 36 months! LM Technology can also satisfy specific customer requests by providing fully made-to-measure systems. 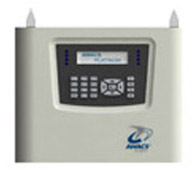 A 4-band GSM - calling system can be installed on board. Any kind of external signal system can also be added. We are able to satisfy all your requirements, however challenging!.